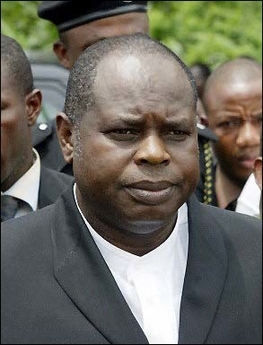 The presidency, on Thursday, said following the granting of presidential pardon to former Chief Diepreye Alamieyeseigha by President Goodluck Jonathan, the former Bayelsa State governor can contest for election in 2015 if he so desires. The Senior Special Assistant (SSA) to the President on Public Affairs, Dr Doyin Okupe, who stated this during a press conference in Abuja, said rights and privileges of Alamieyeseigha had been restored with the pardon, adding that he could now pursue any calling of his choice. “If a man is granted presidential pardon, all his rights and privileges are returned to him. He can sell groundnut, he can do business, he can go into politics, he can go abroad, he can do whatever he likes,” he said. “Whether President Jonathan grants him pardon or not, by 2015, he will be fully qualified and eligible to run for election in 2016. I mean, if it is done now, what difference does it make? People are talking to me about timing. This is something that in the next two or three years will really expire and he will be a free man,” Okupe said. The presidential aide said Section 175 of the 1999 Constitution empowered the president, in consultation with the Council of State, to grant presidential pardon to whosoever he chose, as he urged members of the civil societies to be reasonable on the issue.